Arni Stefan 3 ár, 3 mánuðir síðan. First of all. I’m not writing this to be mean. Just to summarize, clear up a few things and I kind of hope the TCC guys read this because I feel they can take really positive stuff out of this whole experience but also some serious learning points. At least some of whom were easily preventable. There might be some errors in here, I apologize in advance if there are. A couple of months ago or so I got wind of The Coldest Crossing, an ambitious project by four young British guys to cross Iceland unsupported in winter. Me and a few other guys in the climbing scene in Iceland immediately became interested in knowing more because the first thing we saw at their website was a claim that was simply not true. Not first. Not by a long shot. Iceland has been criss-crossed many times, mostly by Icelanders but also others, for many years. We have a rich mountaineering culture. Our first mountain club was founded in the 1930’s, imported ski and climbing instructors and started building climbing huts. The Icelandic Alpine Club was then formed in 1977. In 1956 Magnús Hallgrímsson, Leifur Jónsson and members of their team skied from Gullfoss in the south, north over Hofsjökull glacier and down into Eyjafjörður on the north coast. It took them a week. They were truly unsupported, no communication and only a compass and a map for navigation. They did the route again 20 years later. In 1999 Einar Runar Sigurdsson and Florian Piper crossed Iceland from North to South, coast to coast, via Vatnajokull, second largest glacier in Europe after Austfonna in Svalbard. The same year the ICE-SAR Hafnarfjörður guys went from the Eyjafjörður coast in the north, over Vatnajökull glacier and down by Skeiðará river to the south coast in nine days. Another example is that in 1976 a group crossed the three main glaciers from east to west. A similar group did Eyjafjörður, by the north coast, to Þingvellir the year before. (Photo: how cool were these guys? Will you look at that equipment? Photo from the linked website). In 1997 a few people in their early twenties from the ICE-SAR group HSG did 700 km from NE to SW, coast to coast. Absolutely the longest distance you can cover. Mostly on skis. Some Polish guys crossed Iceland in 2008. Hell, they even rode on bikes across the largest glacier in Iceland in 1992. No fatbikes back then, only 26” skinny tires, aluminum frames and really long stems.So you can imagine that it was surprising to see a claim like that. The older generation of climbers say that the British have come up here through the years claiming a variety of things. The team obviously caught wind of some of these facts only after arriving in Iceland and it looked like they moved their starting point further Northeast to try to get something first. They did not, however, stop making claims on their social media platforms. The thing is that in Iceland we are kind of old school in mountaineering and climbing ethics. We just do firsts, if you need parameter two or three attached to it, it’s not a first. And preferably you go out, do your thing and then maybe talk about it. And climbing grades are under graded so you guys can never ever come over here and sandbag anything. We didn’t even use WI6 until recently. The top of the scale was just WI5. I mean, if today’s social media climbing, and TCC might be a great example of that, is on one end the other end of the spectrum is this great story about Mugs Stump posted on alpinist.com. The Icelandic climbing community used to be very close to that but are a lot closer to the middle now. However it’s a great story to think about. What are your motivations? Why are you going out to have adventures? The community here was kind of surprised by a few unusual things with TCC. 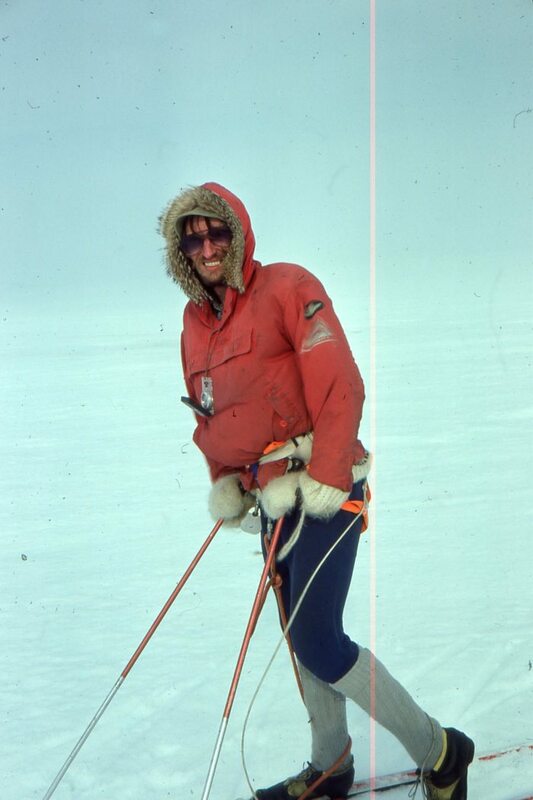 1) People wondered why the guys were using what appeared to be semi stiff carbon boots and randonee skis. This is very unconventional for horizontal skiing for long distances. I actually posted this question to TCC’s facebook page on 11. November. Icelanders ski this mountain section in spring, the climb is 2-3 hours and the skiing is at most half an hour. Seems excessive to cross Iceland on Alpine skis just to get in some good 10 turns. With pulkas. 2) The time of year. Most ski crossings are done around April-May in Iceland. For a good reason. Long days, good snow base, more stable weather, easier terrain, closed rivers, closed cravasses, firm snow. The list goes on. 3) Homemade pulkas. The threads on this forum regarding pulkas are measured in kilometers. I am not kidding. It’s a religious matter. Maybe they had some great pulkas, I don’t know. I doubt it. 4) Very young age for an expedition of this scale. 5) Apparent inexperience with ski expeditions. Whether you are doing ski crossings or climbing mountains you need to follow a learning curve that is not too steep. So people will do a few day tours on skis, then cross a mountain pass, then cross a glacier. Then they might cross Vatnajökull glacier, then Greenland glacier and then ski to the South Pole. This is actually not too far from the schedule a couple of ISALP’s members have done. And note that they were experienced climbers and mountaineers before they started the skiing non-sense. This whole thing sounded quite familiar and I remembered an article Andy Kirkpatrick wrote a while back (we like Andy, Dave MacLeod and those guys going all out in sub optimal conditions, if we only wanted to go out in good weather we wouldn’t go out at all). OK, so the guys go out to Rifstangi, I think they originally gave a few locations they would pass, Laugafell, Nýidalur, Laugar, Skógar. Or pretty close. So it seemed obvious that they had changed plans. They got their car stuck and had to get a lift with ICE-SAR (1) to their starting point. Phase 1: From there I think they only moved about 10 km from 3.-6. December. Then one guy had to be picked up by ICE-SAR (2) due to a medical concern and the rest fled into Kópasker, a small village to sit out a storm. It was a pretty bad storm to be honest, no shame in seeking shelter and starting again. By the way, we don’t name our storms, there are just not enough letters in the alphabet. Total walked about 25 km? 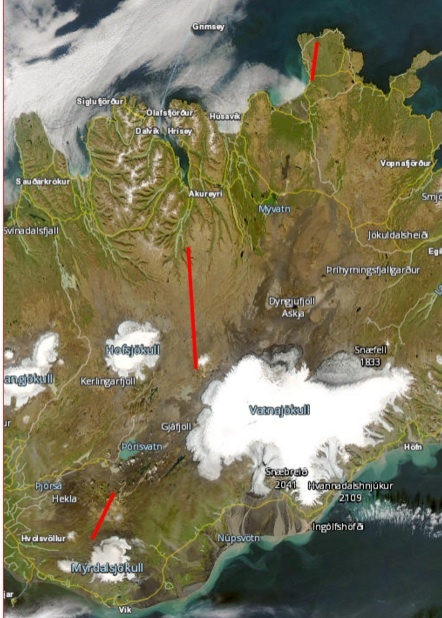 Phase 2: Then they start quite a bit into the interior south of Eyjafjörður on 10. December. Walk what I’m guessing is about 60 km (+/- 10km?) to Nýidalur hut and seem to stay there for a couple of days. One member has frostbite. Then get picked up by ICE-SAR Hella (3) by nine people on 4 Ski-Doos and 2 super jeeps on December 17. Total walked about 60 km? Phase 3: On 23. December they are driven on super jeeps, one visible from a Instagram photo by Renan at least seems not from ICE-SAR, to Landmannalaugar to do the Laugavegur. A popular summer trek, of course quite a bit more serious in winter conditions. Quite a few cabins on the way though. This leg starts quite a bit south of their last location. They then walk to Emstrur, new storm coming in the day after, and get picked up by the Coast Guard Heli (4). Total walked probably around 30 km. So total walked might be around 115 km (+/-) in 26 days counting stops. For reference, Einar and Florian mentioned above did 250 km in 13 days and the HSG team did 700 km in 17 days. See the below map, the legs are very roughly marked in. Lets review the learnings from all this. It’s absolutely great that these guys went out and had an adventure. They all lived. That’s rule number one. They obviously prepared and trained. – – It’s not like information isn’t available. A single e-mail to the Icelandic Alpine club or a forum post would have cleared that up. – They might want to think about just having fun adventures for themselves, not somebody else. – – Go on trips. Have fun. Really, it’s OK.
– Learning curve. Do not take up ice climbing or alpine climbing with this attitude. – – Start with achievable goals. Learn from your mistakes. – – Being assisted four times on the same trip is a pretty blunt indication that you were way out of your depth. Be honest with your video. It would actually be really interesting if they show us a journey where they make the mistakes and screw up, get away from it and learn from the experience. A humble video. If they just try to keep up appearances like on the social media platforms, posting stuff after rescues without mentioning them, it’s not going to be interesting. A good example is Cold (2011). The guys went out, maybe from the wrong reasons, made some mistakes and came back. Could be a lot worse. I hope they learn from this experience and I look forward to reading about a more realistic adventure in the future. Hopefully after they do it, not before. ICE-SAR, Icelandic Search and Rescue, is a self funded volunteer organisation in Iceland that handles rescue work in Iceland on land, sea and internationally. Only minimal funds come from the state. Rescue is free in Iceland unless you are breaking the law, i.e. drive into a marked closed area in the winter time or drive off road and damage the land, and you will be fined and have to pay for the extraction of the car. Other than that most members of the organization are against charging for search and rescue. It would result in people hesitating with calling 1-1-2 and lead to more dangerous missions for the team members. More people would die on both sides. Many rescued make donations instead. Just to be absolutely clear, the people coming to rescue you have regular jobs and families they must leave to go on a mission. The equipment for winter travel is many times more expensive to drive and maintain than regular 4x4s. The team members pay for their personal equipment, food etc. If you decide to do something silly don’t think that they are in it for this, or that it is fun for them to get out and rescue you. They have plenty to do other than that. It’s a very arrogant and silly self justification. So if you intend to go on and expedition in Iceland, say crossing a glacier or the highlands on skis in the middle of winter, you really should buy insurance. Not because there is any obligation to do so but because it’s the prudent thing to do. You should also know how to hole up in a snow cave for a bit, know how to get to the nearest cabin in areas that have A LOT (!) of cabins like the Álftavatn-Emstrur area etc. And if you didn’t think of this, which is strange when people will buy insurance to go on a couple of weeks sport climbing trip, you should try to think about a way to donate at least some of the costs incurred back, especially if you go out on multiple occasions and call for a rescue. Sveinn Fr. Sveinsson is a climber, member of the Icelandic Alpine Club, backcountry snowboarder, AIMG certified glacier guide and a member of the ICE-SAR mountain rescue. 2) They guys were dropped off at Hrauneyjar, waited for Renan and Taylor to join them with special heated socks for the frostbite victim and then got a ride to Landmannalaugar where they started walking again. 4) I have no idea how this one escaped me, thanks Kalli for posting this here below, but Sturla Jónsson did north to south from Bárðardalur to Þjórsárdalur in 72 hours in 1916 on skis, 270 kilometers. With very primitive equipment of course. Amazing! An excellent summary. This covers all the discussion I’ve heard (and participated in) regarding this expedition. I wholeheartedly agree and I hope the aftermath will be honest and those who deserve praise get the proper thanks. Furthermore, this expedition is sure to be a massive learning experience and I hope we will see more of the team members employing their new found experience in the outdoors. Remember that the outdoor learning curve is a curve not a cliff and should be embraced and enjoyed. If that is not respected the price may be higher than you are willing to pay. Sissi, -I think they started the last leg from Hrauneyjar restaurant but they had a support film group that might have driven to Landmannalaugar. This project was equally far from being unsupported as they were from being first. When a groups makes such nonsense claims in the beginning, the result is no surprise. Th whole thing must either be built on lies or ignorance. Excellent summary Sveinn. 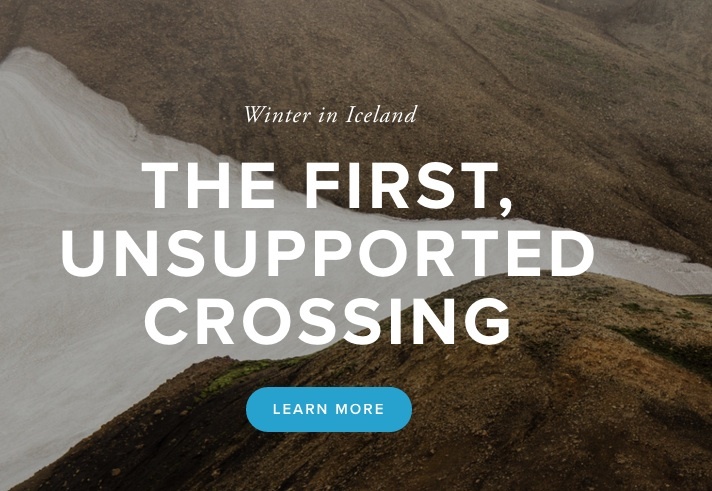 Nice to see a recording of many of crossings across Iceland. I would like to add to the summary, the 1 month long solo crossing of Gudmundur Eyjolfsson in 2001, from NE to the NW, passing through the Highlands. Sveinn mentions the crossing of Vatnajökull Glacier on bicycles in 1992, an article written prior to the crossing can be found here. Hi, First of all, if anyone wants the locations of the SPOT of TCC, email me. I have taken screenshots of their route. Many thanks to the author to have put sound knowledge and provide all this information. I will not discuss the expedition. Most of Icelanders (and myself) would agree they were badly prepared. An Icelander friend told me even before they started they would fail. I was more optimistic on their progress as they mentioned they had experience. Perhaps in ski or mountaineering but Iceland is something unique in the world and it seems the people who try and fail still do the same mistakes. I want to discuss the CROSSING of ICELAND. I completely agree the country has been crossed many times over the past 200 years and more adventurously during the past 60 years. WINTER + FULL CROSSING + FULLY UNSUPPORTED? I had this debate with the Brits in May 2015 when I found out about their idea and shorter route. To satisfy all definitions: Winter would be 21 dec to 1 March. We all agree, a crossing would be from COAST TO COAST. It’s the same for rowing crossing an Ocean, start on land finish on land rowing. What is FULL then ? This word is being used by many adventurers, explorers and starting adventurers and each have (sadly) different definitions. But let’s put it simple to define and explain the fact/rules of my definition: Un-supported means NO support at all. support ==> So the unsupported status must be ALL THE WAY DURING the ENTIRE EXPEDITION. To give an idea, let’s say that you are 2000 years ago, Iceland is empty of humanity and human constructions, and you have to cross it asif no one can help you. Like the early explorers. That is unsupported. You rely only on yourself, what you find on the land etc… This means hunting, finding water (in a desert) is OK.
* If you are let’s say 2 people in the expedition, one has to leave and the last remaining finishes the expeditions = consider as the solo person has had the help of the second person during a certain amount of time (they shared weight of tent, gas …) = support ==> unsupported = the team starts with 2, 3, 4 or more and end together with no one exiting and coming back later and fresh during the expedition. * In Iceland there are sealed roads and 4WD tracks: using them is making the expedition easier, so the use of any roads = support. But of course sometimes it is hard to avoid roads. In a narrow canyon between 2 cliffs for example, you might have to walk on the existing road. Also you might have to go around private land and then you are perhaps on a road around the property for a bit. The idea is that the adventurers don’t do a longer distance to make use of a faster/easier road. The idea of adventure and the outdoor is to by nature to avoid easy, to take risks and be „remote“ or away enough from civilization. Other reason is ecology and respect. If you must follow a route by law, regulation, rule or if outside of the route you might harm a fragile protected ecosystem, stay on the road. * What about other „human constructions“ like bridges ? Well if I wanna be pure: bridge = support. But I could say it is part of „nature“ as it is there. People climbing Everest do the approach walk to base camp and use bridges. They don’t start from Kathmandu anymore. To be pure, the unsupported crossing of Iceland should be done without using bridges and rivers must be crossed swimming or wading. What about the Jokulsa a Fjollum? Well. It’s possible to avoid it by going around it or swimming across it where it is the least dangerous. In 2010, I did the first full crossing of iceland completely unsupported. With the fact I used bridges so if a super purist, you could tell no one has crossed yet iceland unsupported. Not in the winter, nor in the summer. PS: For the summer I believe no one has done it, and if so, of course the expedition has used the bridge over the Jokulsa. So now, the question is: has someone done a FULL N-S or E-W crossing, completely unsupported inside the dates of the winter time? I believe the answer is NO. I believe in the next 10 years or earlier someone will do it. Then people will go solo, then people will try to go as fast as possible and people will die, like on the Everest. It’s part of the „EGO“ and challenges people set themselves into. I want to be the first N-S solo in the winter. Why? I like the fear of the elements thrown at me. I like sometimes to have nature reminding me how small I am, I am the challenge of the world first as I need to think, to prepare and find the solutions to all the problems possible and then with a bit of luck (You provoke luck by preparation) it is rewarding to be able to pass and succeed doing something (very) hard. And then you learn so much that your experience can benefit to the others. That’s part of what adventurers and explorers do when achieving human propelled (no oil-fuelled) expeditions. It’s just a limit to push a bit further. Just like an athlete who wants to run the fastest or jump the highest. We believe it is possible and we want to work hard to succeed. And YES there is some EGO behind it. Acknowledgement of it is the first step of success. I do it for myself but I’m somehow proud when someone congratulates me on a successful expedition. „If you do this winter expedition, be prepared to have 80% of the population of Iceland against you. If you succeed with no drama, you’ll have 100% of the poulation with you“. My best reward is to be proud of this: Can I go in this extreme place, extreme weather and find all solutions to all problems (some unexpected) and make a successful crossing. For sure I’m not ready yet. Lou, -you are a little late for unsupported crossing of Iceland. You are crossing an inhabited land with farms, roads, bridges, weather service, SAR and mobile phone coverage. Assistance is only a phone call away and can be expected in a few hours. There is no „self reliance“ when ambulance and hospital is only one phone call away, -just like the hike from London to Birmingham. There is nothing extreme about ploughing from one side to another and not using kites is to us some strange British masochism and has resemblance with Scotts attitude against skis. Crossing Iceland from one corner to another is old news and has been done countless times in all seasons except the dead of winter (late Nov to mid Feb). April and sometimes May are winter months. The question is who is doing this in the best style, – speed (kites) most interesting route and above all, -who is having the most fun. The locals are mostly interested in the highland and glaciers. Rambling between farms and sheep pastures in the lowlands is more like shopping for groceries. This winter crossing from 1916 is truly remarkable but according to you criteria it was supported as Sturla was accompanied by a friend on day one. Though discussion and criticism may be in order, direct threats to the party members are however not acceptable. The mission was a bold one and full respect is due for that although the outcome may not have been the desired one.